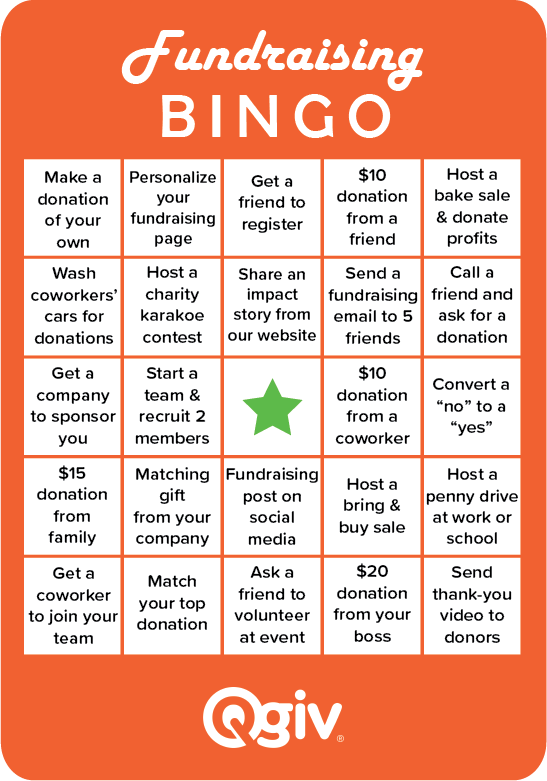 Looking for a fun way to fire up peer-to-peer participants’ fundraising efforts? Try a Bingo card! The template is editable so you can change the tasks according to your needs. Just click the image to download the editable PDF. Enjoy!